The children are very excited to hear that we are going on a trip to the seaside. Do you like to be beside the seaside? we asked the question. In this topic we are learning to know the difference between past and present events in our own lives and some reasons why people's lives were different in the past by learning about the seaside 'now' and 'then'. Know that the environment and living things are influenced by human activity and to describe some actions which people in their own community do that help to maintain the area they live in by learning how to look after our beaches. Nearly everyone in Reception decides that they do like to be beside the seaside although not everyone has been there yet. 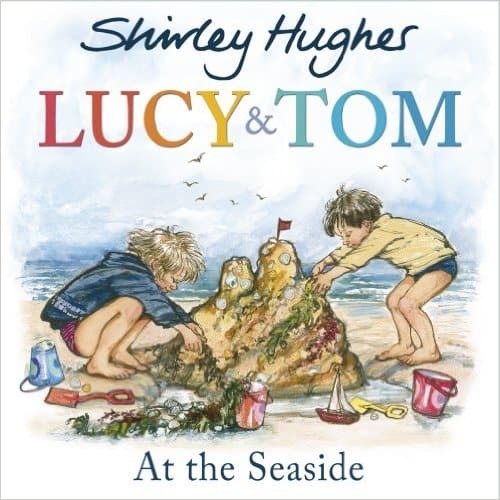 We listen to the story of 'Lucy and Tom at the Seaside' and talk about our own experiences of going to the seaside. We think about what we might see using the story book to help us. Then we learn about what the seaside is like today compared to what is was like 100 years ago. 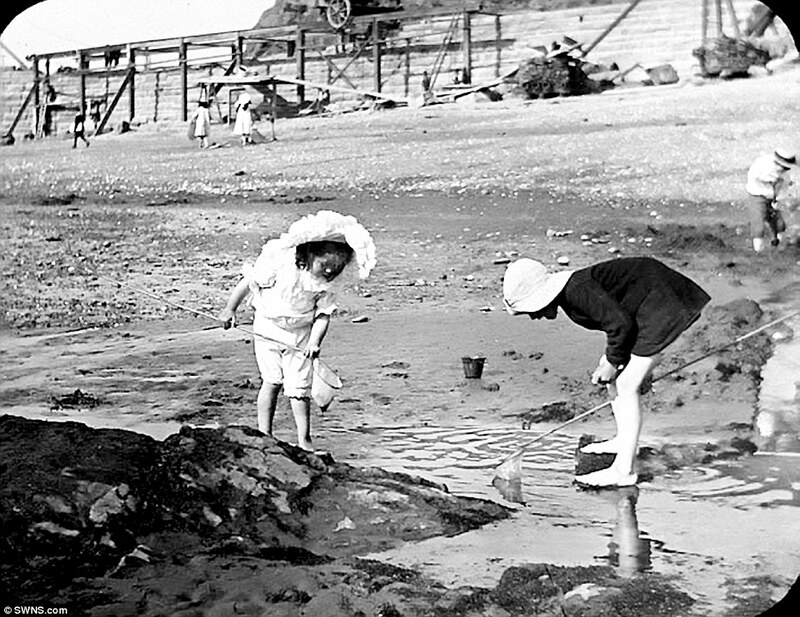 We explore a new computer game that shows the children how the seaside has changed over time. Magic Grandad takes them back to the past in his time machine and we are able to use what we find to able to compare similarities and differences. We learn that women and men sometimes went on separate beaches and that people swam in the sea with long swimming costumes because they thought that it was good manners to keep their bodies covered. 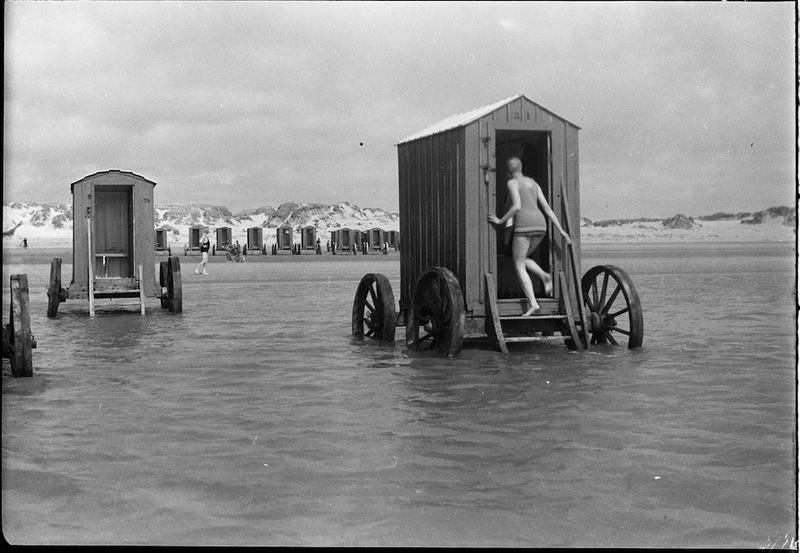 Some women got changed in a Bathing Machine. 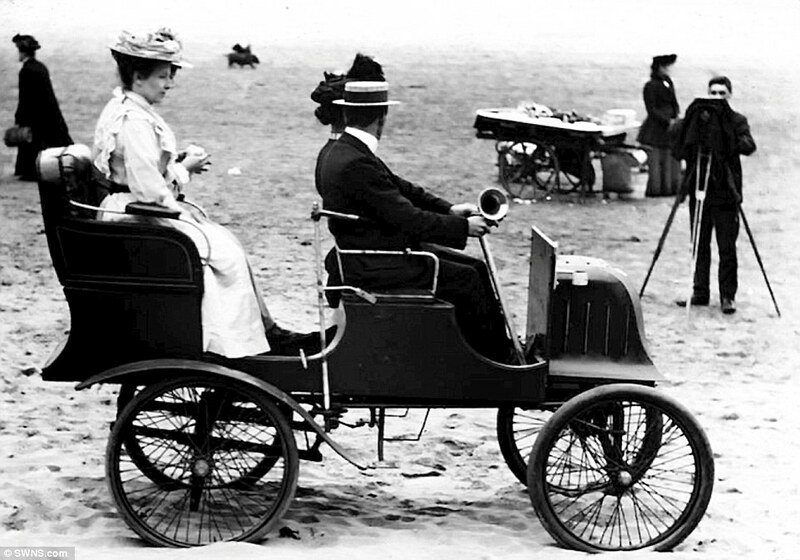 A bathing machine was a horse drawn carriage that took the ladies out to sea so they could slip into the water without being seen. We think this is a very strange and exciting way to get changed and go for a swim! We learn that lots of people went on holiday to the English seaside one hundred years ago because there were no planes to take them abroad. We learn that some things have changed but some things have not. For example, today we can still go on a donkey ride or watch a 'Punch and Judy' show just like one hundred years ago. I wonder if we will see these things when we go to the seaside? On Friday we went to Littlehampton travelling by coach. We were very excited and were very much looking forward to all the lovely things we were going to see and do! When we arrived we settled down on the beach and got changed into our costumes. Then we had a sandcastle competition. Lots of children got stuck into digging in the sand and making as many sandcastles as they could. 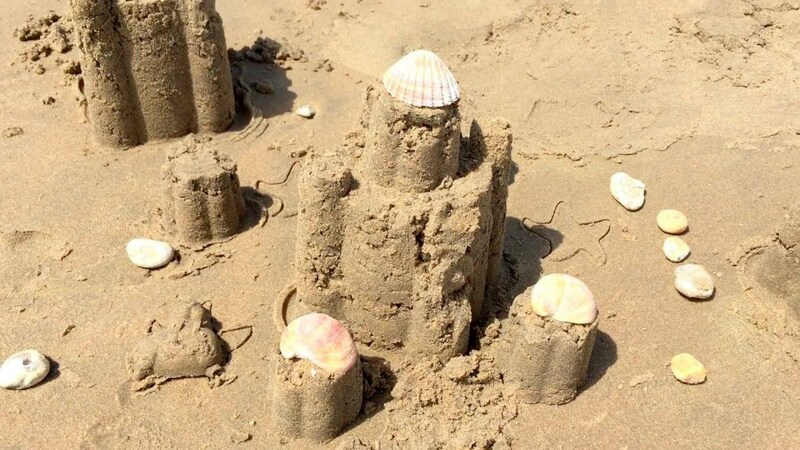 Some of us decorated our castles with shells and pebbles then the tide started to come in. We loved watching the waves. Lots of us were giggling and trying to run away from them. Some of us thought that jumping the waves was the best thing ever when it was time to go for a paddle! It was hungry work! Next we had our picnic, munching on sandwiches and crunching on crisps, biscuits and apples. Before we went home we visited the seaside shop. We have a seaside shop at school so our teachers showed us how to buy and pay for goods. Finally we fell fast asleep on the coach after a very busy day! Before we leave the beach, we make sure we have looked after our environment by tidying up and taking all our litter home. Back at school we listen to a story about a whale that was killed by hunters and we learn about special people who help animals like marine biologists. This is really interesting and we watch a video clip about penguins that had been trapped in oil. The oil was hurting the birds. It is interesting to see how the marine biologists carefully use their tools to clean them. We pretend that we are marine biologist and use tools to clean the animals and wash the oil (black yucky paint) off their skins and scales to rescue them. We collect the rubbish from out of the sea because we know the rubbish is hurting the animals too. We learn that we can work together to help our world and watch a video on recycling. Peppa Pig shows us how to sort the materials so that they could be reused to save our resources. We enjoy working with our friends to learn how to match materials to get ready for recycling. We make posters to put up all around the room which include bold statements like 'No oil!' and 'Oil can Kill!' which shows how passionately we care about the animals and their world.